When the Washington Capitals lost two of their most respected veteran forwards prior to the start of 2009-10 season, it could have been a huge blow to their Stanley Cup aspirations. That was before they landed Brendan Morrison. When Sergei Fedorov and Viktor Kozlov made the decision to return to their native Russia to play in the Kontinental Hockey League this year, it left a void, in terms of veteran talent, on a young Capitals roster. But that situation was remedied when Washington inked Morrison and Mike Knuble, both unrestricted free agents, a duo known for their impact both on and off the ice. For Morrison, the decision to sign with the Eastern Conference team was an easy one. Why was it such a great fit? And Morrison is very capable of playing a significant role in the quest to land the Caps their first championship. A 5'11”, 181-pound native of Pitt Meadows, British Columbia, Morrison has had 50-plus points six times, including four 20-goal seasons. He has played over 800 career games with five teams – Dallas, Anaheim, Vancouver, New Jersey and Washington – spanning 12-plus NHL seasons. Morrison, who will turn 35 on August 15, split last season between Anaheim and Dallas, posting 16 goals and 31 points in 81 games. He also had 32 penalty minutes and a plus-3 rating. He played 542 consecutive NHL games from 2000-07, but was hampered by injuries the past two campaigns. Morrison is even happier these days after he netted the first goal of the game, just over a minute in what turned out to be a 7-2 win over the New York Islanders on January 26. Still, Morrison found other ways to contribute. Nor will you hear Morrison, a second-round draft choice of New Jersey in 1993, 39th overall, complain about his veteran status. One of his first sit-down interviews during his rookie season with the Devils came at the NHLPA's office in Toronto more than 11 years ago. “I do remember coming in that day,” recalled Morrison. “It really doesn't seem that long ago. When I think of it, I really don't see myself as being an old guy. But time goes so fast playing in the NHL. It's amazing how quickly it goes. All that does is make you appreciate every day. You can't play forever, so you make sure you enjoy every moment. 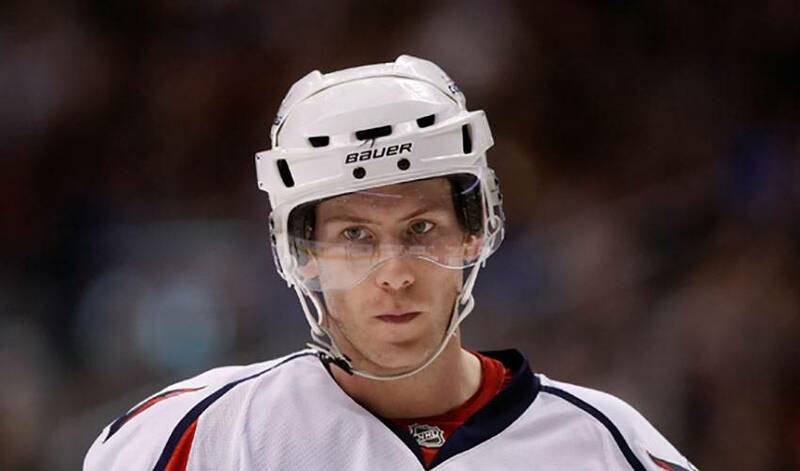 While his career has certainly had its share of highs and lows over the past few seasons, Morrison is optimistic about the Caps' fortunes in 2009-10. Well, maybe with the exception of hoisting the Cup over his head.